American Queen Steamboat Company (AQSC), a leader in U.S. overnight river cruising, recently closed on the purchase of the Victory I and sister ship Victory II from Sunstone Ships, Inc., in addition to the Victory brand. This investment expands the company’s portfolio to include award-winning, small ship cruising on the Great Lakes. Victory I and Victory II will spend the winter and spring season at Gulf Island shipyard in Houma, Louisiana, undergoing a multimillion-dollar refurbishment and upgrade program before re-entering service in May 2019. “American Queen Steamboat Company celebrated a record year in 2018, and the recent addition of the Victory I and Victory II to our fleet is a wonderful way to start 2019,” said American Queen Steamboat Company Chairman and CEO John Waggoner. 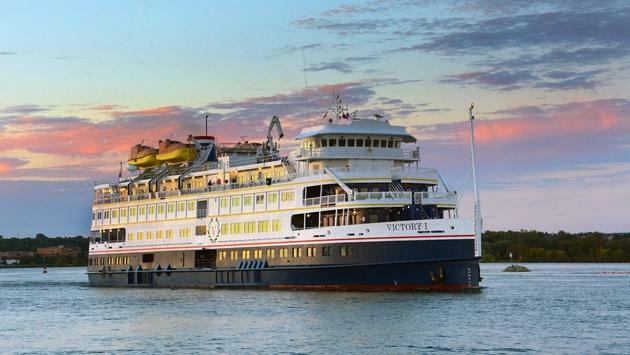 Starting May through October 2019, Victory Cruise Lines will offer 10-day, all-inclusive sailings on the Great Lakes. Victory I will sail between Montreal and Detroit visiting Quebec City, Kingston, Toronto/Welland Canal, Port Colborne/Niagara Falls and Cleveland. Victory II will sail between Toronto and Chicago calling on Port Colborne/Niagara Falls/Welland Canal, Cleveland, Detroit, in addition to sailing scenic Lake Huron, Little Current and visiting Soo Locks/Sault Ste. Marie, Mackinac Island and ending on Lake Michigan. The 202-passenger Victory I and Victory II are small ships purposefully-designed for coastal cruising with every modern convenience to explore North America’s maritime history throughout the Great Lakes and southern Canadian coast. Guests onboard will enjoy immersive and inclusive shore excursions in each port of call, exquisite multi-course fine dining with specialty and casual options including spirits, beer and wine; onboard enrichment, evening entertainment and internet and Wi-Fi in public areas. The Victory I and Victory II join the American Queen Steamboat Company fleet under the Victory Cruise Lines name, alongside the flagship American Queen, the American Duchess, a 166-guest boutique paddlewheeler sailing the Mississippi and Ohio Rivers, and the American Empress in the Pacific Northwest. The new American Countess, currently under construction in Louisiana, will debut in 2020. 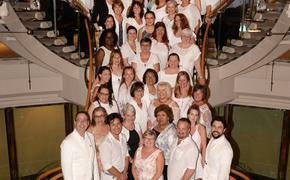 For additional information about Victory Cruise Lines’ call 888-907-2636 or visit www.VictoryCruiseLines.com. For additional information about Sunstone Ships, Inc call 305-400-8055 or visit www.SunstoneShips.com. For additional information and reservations, kindly contact the American Queen Steamboat Company at 888-749-5280, visit www.AmericanQueenSteamboatCompany.com or call a professional travel agent. SOURCE: American Queen Steamboat Company press release.